As brightly colored and healthy looking as the real thing, this 33 pc. 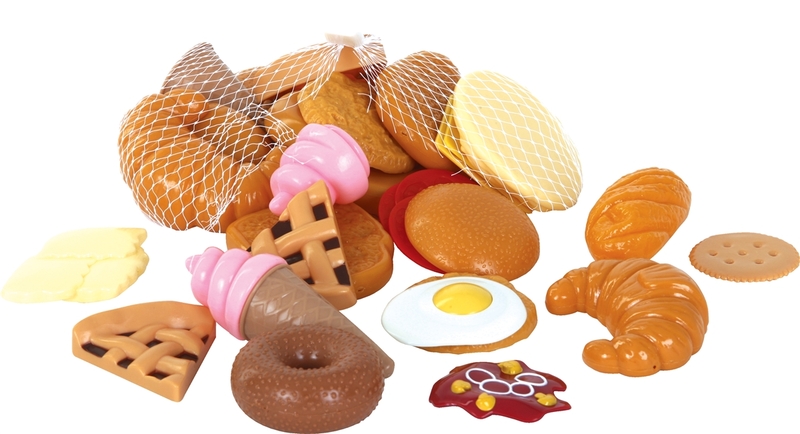 selection of pastries, desserts and more is an ideal addition to Gowi Toys kitchen playsets or as a separate creative play item. Play food is ideal to help you young children learn about the importance of a healthy and balanced diet, where food comes from and how meals are prepared.